Cameron Watson is the College of Communication and Information Sciences’ 2018 Outstanding Alumnus in Advertising. 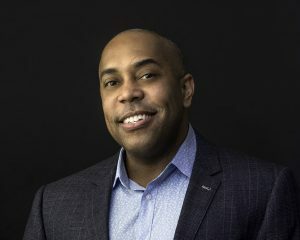 Currently, Watson is the Group Creative Director at Red Fuse Communications, a full-service, globally integrated agency dedicated to serving all of Colgate-Palmolive’s brands worldwide. Watson began his undergraduate career at The University of Alabama as a civil engineering major, but made the fortuitous switch to the Department of Advertising and Public Relations after his sophomore year. He spent his time outside of the classroom writing for the Crimson White and participating in AdFed and Ad Team. “My experience at UA, especially regarding Ad Team and working for the Crimson White, greatly prepared me for the advertising field,” Watson said. “The work I completed for Ad Team and the Crimson White is almost identical to the work I do now as an advertising professional,” Watson said. As for advice to current students, Watson recommends learning a second language and taking courses every interim session, if possible. Watson is grateful for the many professors at UA who prepared him for the world of advertising. In the future, Watson plans to venture over to the client side of business and possibly emerge as a chief creative officer. Upon retirement, Watson hopes to settle down and one day become an instructor at a college or design school.